That would appear to be a pretty textbook compressor stall or "surge". Returned to SJO at 09:41 CST. They made a big deal out of something like this. The plane had no issues and returned back without issues. It doesn't happen often here so I can see the hype but it's all over the place now. Bird ingestion certainly can result in a compressor stall of the affected engine. In many cases, the engine can self-recover from a compressor stall but, with a twin, such an event invariably leads to a prompt landing to inspect for possible damage. The rotated and zoomed image of the 737 on approach (to make it appear to be in a nose-down attitude) is a bit over the top. Aside from what would have been a few seconds of terrifying noises in the cabin, along with smoke and fire emitting from the engine, everything else about the landing would have been as "normal" as an air return gets. there is also a forearm sized chunk of flap missing, so that would have made a bit of noise and be a bit unsettling to the pax, no? I agree it would've been scary for passengers. But half the country is on this like if the plane crashed. It landed succesfully with no issues. Rotating images to make it seem like the plane is in a dive down is over the top and bad taste. i wasn't speaking to that. birdstrikes, however are a serious issue. 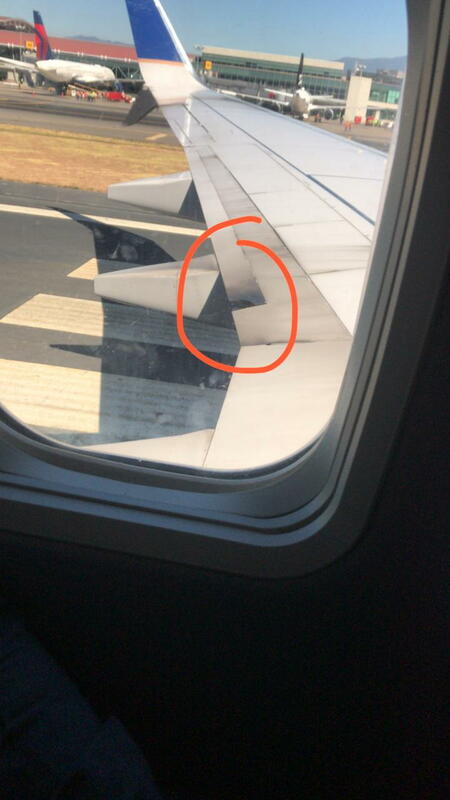 Honestly, I doubt passengers would much notice the defect involving the aft segment of left outboard trailing edge flap, if that was indeed a result of the incident. The noise and brief sight of flames would probably be of much greater concern to the average passenger, many of whom I'm sure believed the engine to be on fire. The only reason I say "if" with respect to the flap is because that photo makes it appear to be a smooth, rounded separation that is remarkably consistent with an approved temporary repair for that surface. Still, it is probably more likely that the flap was damaged by a birdstrike and the engine surged as a result of a bird ingestion. 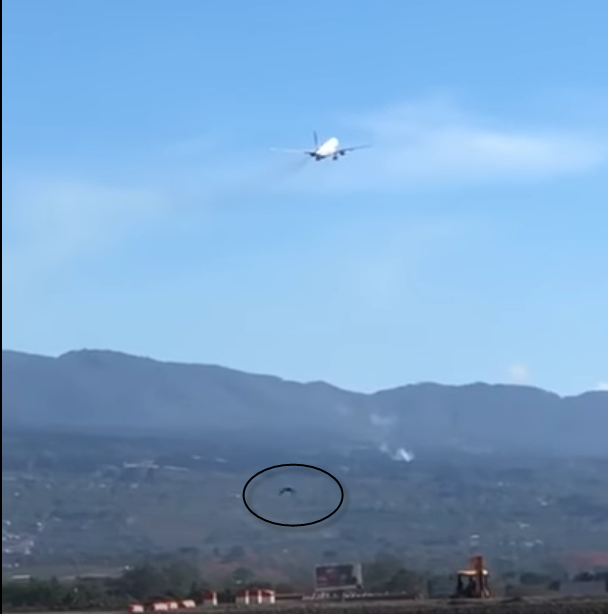 I'd like to see photos of the airplane from the front to see if any leading edge surfaces were also damaged, as that would probably cement an encounter with birds as the cause of this issue. In any event, the 737 can absolutely fly and land safely with such a defect, regardless of whether it was caused by unintended impact with a flying object or a mechanic's cutting torch. The only reason I say "if" with respect to the flap is because that photo makes it appear to be a smooth, rounded separation that is remarkably consistent with an approved temporary repair for that surface. That's a normal repair for when the corner of the surface is damages or delaminating. It wasn't damage caused by today's incident.